This morning, Verizon and HTC took to the stage to announce the all new DROID DNA. Being labeled as the next step in the evolution of the DROID brand, the DNA comes packed with some of today’s hottest specs. Powering this monster is a Snapdragon S4 Pro processor and 2GB of RAM, while being equipped with an 8MP back-facing camera, NFC, Beats audio, a 2,020mAh battery, Sense 4+, and running Jelly Bean. The display is a 5″ 1080p HD super LCD 3 that is protected by Corning’s Gorilla Glass 2, which should look great from any viewing angle and also in direct sunlight. When it comes to specs, this thing is packing. The device is available for pre-order starting today, with release scheduled for next week on the 21st of November at $199 on a new two-year agreement. 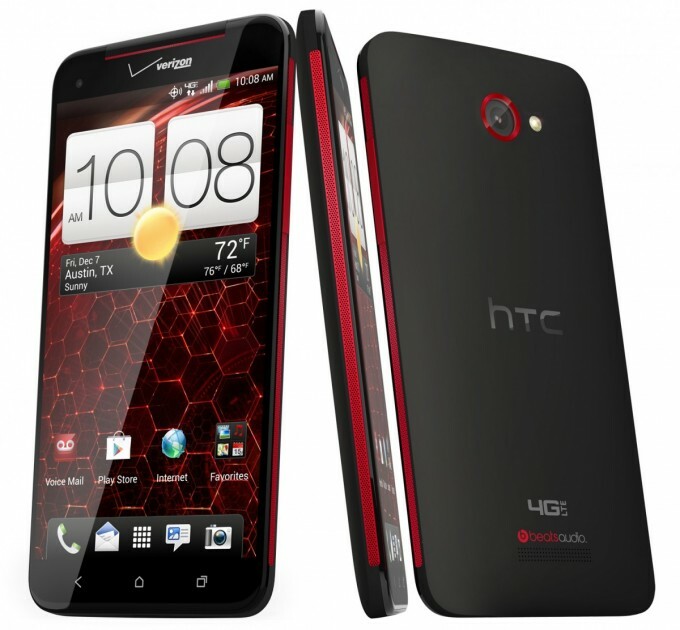 BELLEVUE, WA — Nov. 13, 2012 — HTC Corporation, a global leader in mobile innovation and design, and Verizon Wireless today announced the exclusive DROID DNA by HTC, the ultimate smartphone and the first with a full HD 1080p display. The DROID DNA by HTC will be available exclusively through Verizon Wireless through pre-order starting today and at retail stores nationwide Wednesday, November 21st.